WASHINGTON, Sept 9 (APP): Pakistan and the United States enjoy strong relationship and the two countries are working closely on many issues, including counterterrorism, a US State Department Spokesman said. “I would say that our relationship with Pakistan is strong and in our mutual interest, and also in the interest of the region,” the spokesman stated. While these relationship are sometimes challenging, the spokesman said “but we have a range of issues, including counterterrorism, that we work quite closely with Pakistan”. When his attention was drawn to the fact that US Secretary of State John Kerry visited the region, including India and Bangladesh, but skipped Pakistan, the Spokesman said that it did not indicate anything about the relationship between Pakistan and the United States. He said that the Secretary had a very intense travel schedule, adding that he had been to Pakistan recently and that he often speaks to senior Pakistani leadership. “But as we’ve said many times, there’s no zero-sum game here. We need to have a very strong and robust relationship with India. And we also want to have a strong relationship with Pakistan. It’s in the interests of the region to do so,” the spokesman said. 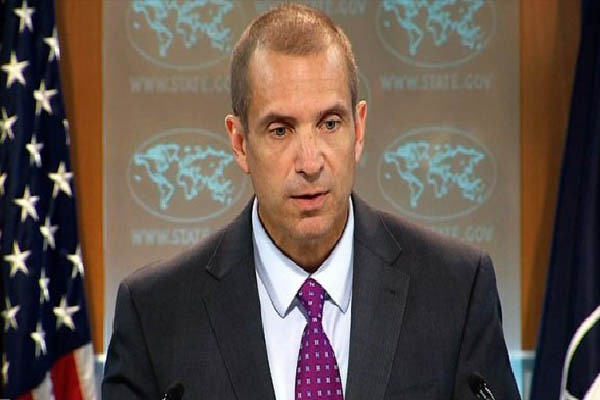 Responding to a question about the U.S. Senate Foreign Relations Committee which had a hearing on Pakistan-US relations and on the issue of going after terrorist groups, the spokesman said that the administration had been urging Pakistan to take concerted action against safe havens. “And we have seen them attempt to address it”. He said that the United States does not want to see tensions escalate, spiral out of control, and lead to some kind of incident. “Again, it’s important for the two countries, the two governments to maintain strong, cordial, and productive relations,” he added.